To accommodate construction, there will be some changes to summer bike park access, on-mountain activities and events. 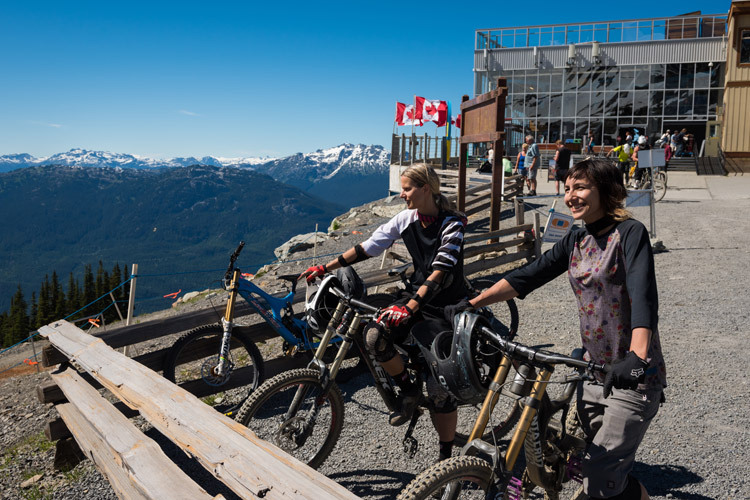 For the Whistler Bike Park both the Creekside Gondola and Big Red Express will be running to take bikers up to the Roundhouse. Note that summer sightseeing will also be running from Creekside, so there may be higher volumes of people accessing the lift. The Creekside Gondola drops you part way down the Garbanzo zone at the Raven’s Nest. That’s one lift to get into the good stuff (aka Garbo gnar) instead of two from the Village. You’re recommended to be at least a decent intermediate or advanced rider to get in this way, as there are no green trails down to the Village or Creekside (and it’s a loooong way down). New for 2018, Big Red Express will be running to take riders and sightseers all the way to the Roundhouse. Bonus! New trails! 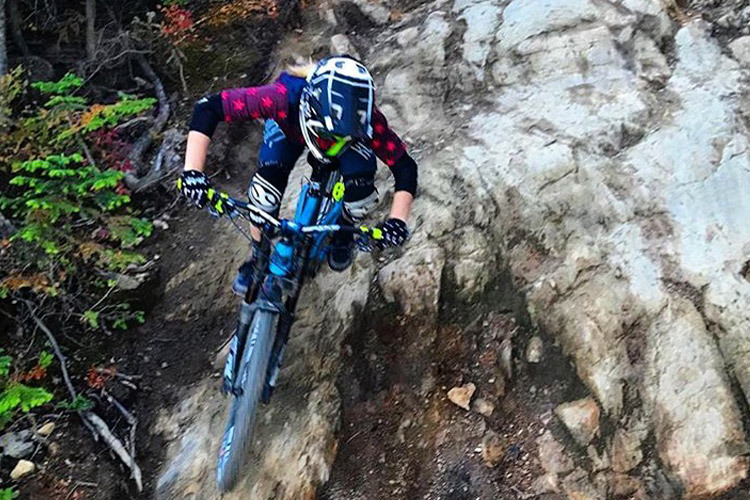 From the Raven’s Nest turn onto No Joke, hang a left after the rock spines and you’re into brand new bike park territory. The trail crews created Dusty’s Downhill to get you back to Creekside, which carves across the open ski runs with a bunch of berms and steeper sections for a rollercoaster-like ride. There’s a second run on offer called BC’s Trail which drops through the trees under the gondola providing a technical treat of roots, rock slabs and loam. BC’s is not a new trail, but has been gently ushered into the Bike Park fold with some care and maintenance. In June of 2018, there will be more new trails opening in the Creekside Zone…stay tuned for the loamy goodness! 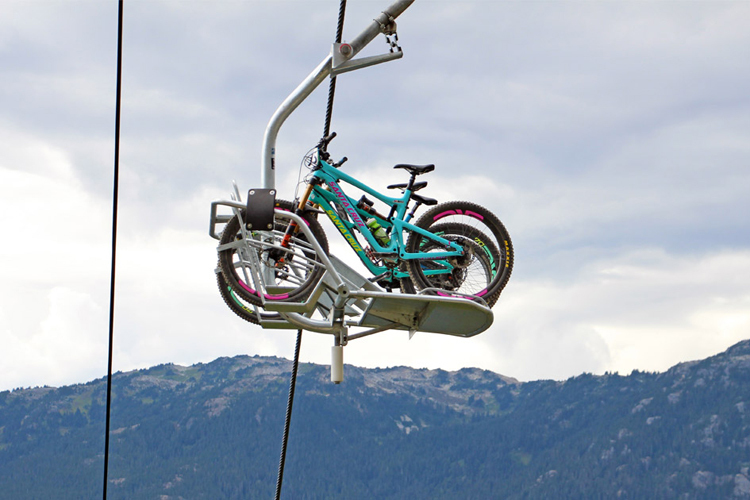 Until the gondola stops running (currently at 5 PM) you can upload and download using the shiny new, easy-to-load racks (no squashing bikes and people into the Gondola cabins, another bonus!). The standard mountain culture mantra of “death-before-download” still applies here but being able to scoot down from mid-Garbo is luxury indeed. The lake dip is an integral part of a summer’s day in the mountains, and after pinning it in the Bike Park all day leaping into cool water feels extra fine. Creekside has the shortest distance between a lake and a lift in town with docks at Alpha and Nita lakes less than 2 minutes away. And there are no hills on that route either so it’s DH rig friendly. No dust, no hot car. Drive in, suit up, go straight to the lift. Just watch the roof-mounted bikes!! We’ve heard Northshore and similar vertical racks mounted on high vehicles (eg trucks) are also a clearance issue. Go slow, amigo, and if in doubt the overheight parking is on the top level. If you’re planning to stay in town and ride for a couple of days, Creekside’s a brilliant place to stay with a genuinely chilled-out vibe. You can get your bike park tickets and rentals right at Can-Ski, then there’s all the other essentials – service station, full grocery store, two liquor stores, multiple places to eat and drink, TWO lakes and a park with a rad playground plus a dog park (for whichever family members you bring). There’s even pedal access to a bunch of xc trails if you feel the need to switch it up. The accommodation options are super close to the lift and have spacious options for families and groups. If you want to head into Whistler Village to check out the Farmers’ Markets, concerts or shops it’s a mere 5 minutes in a car or taxi and there are also two bus routes heading to the Village multiple times an hour during peak times. 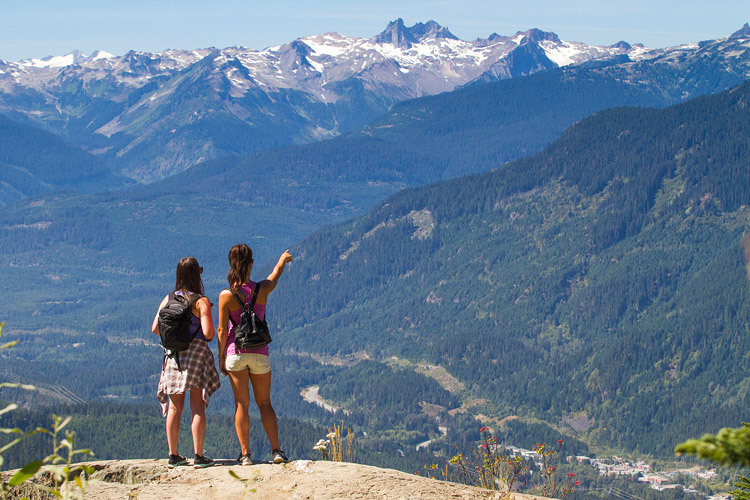 The Valley Trail provides a car-free route for cyclists and walkers with stunning views across Nita Lake, Alta Lake and the Whistler Golf Course on the way. Creekside is close to all the fun of the Village but allows you to retreat to a little lakeside haven at the end of the day. If like me you are keen to see new trails and challenges in the Bike Park in coming years, it’s worth dropping into the Creekside Zone and riding the Gondy at least once to show your support. 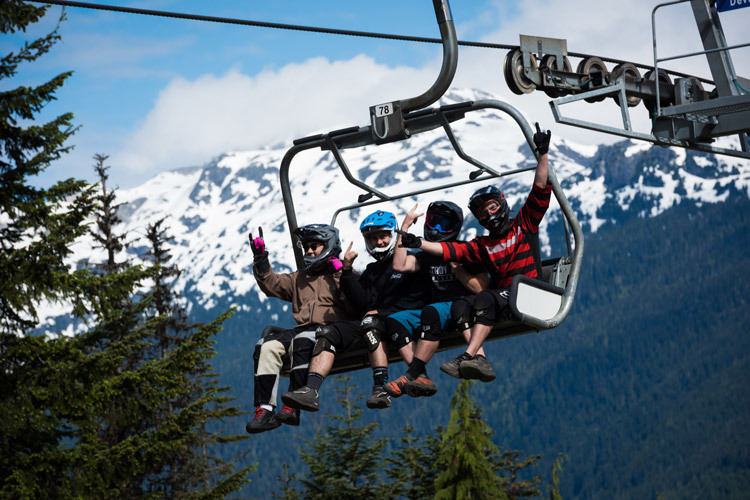 The Creekside Gondola is currently recommended for intermediate and advanced riders. Hit up Whistler.com for all your DH/bike holiday needs. See you at Dusty’s.